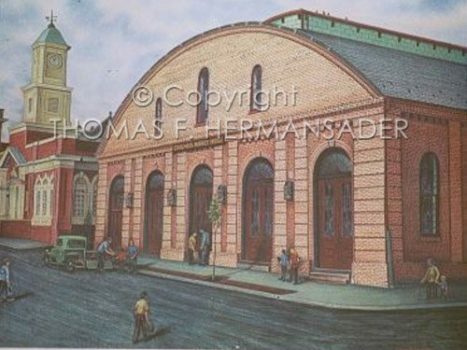 Central Market is in downtown Lancaster, PA and was built in 1889. 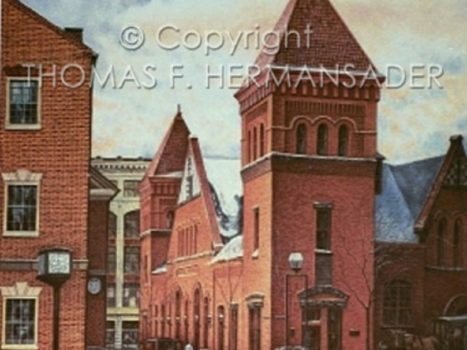 This watercolor painting of the Columbia Market House in Columbia, Pennsylvania was constructed in 1869. 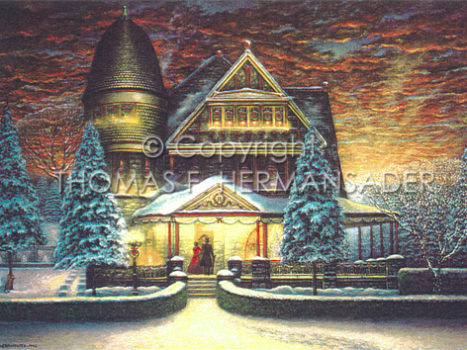 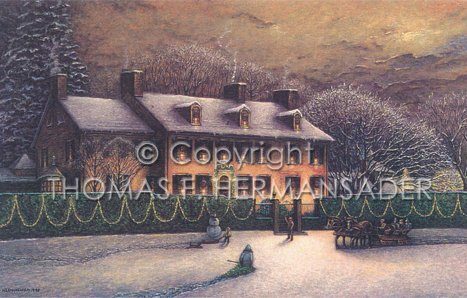 The Hans Herr House is located in Willow Street, Pennsylvania. 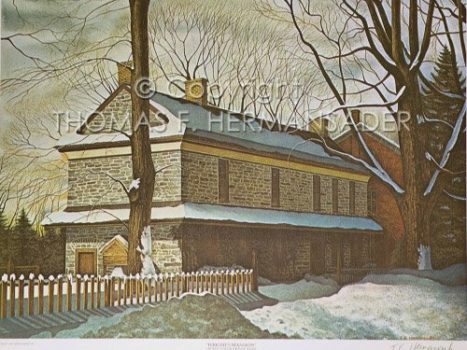 This watercolor of the Wright's Mansion located in Columbia, Pennsylvania was the artist's first painting that he had reproduced. 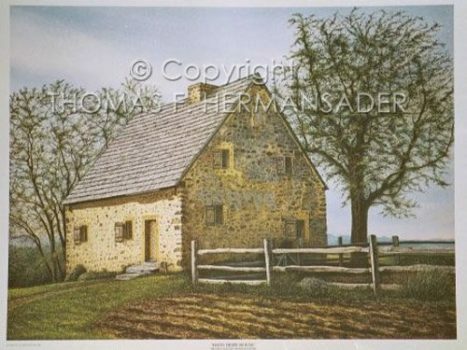 This oil painting of the Conestoga House, is located in Lancaster, Pennsylvania. 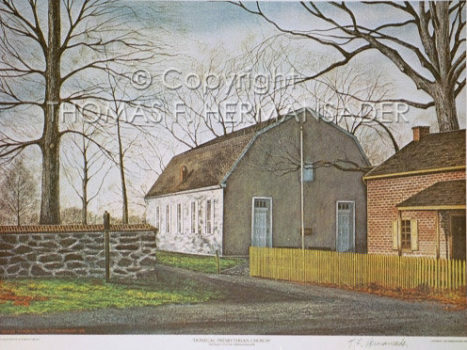 Donegal Presbyterian Church located in Mount Joy, Pennsylvania, was built around 1739. 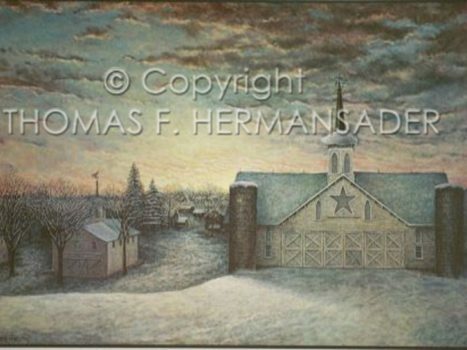 This oil painting, Star Barn, is of a historic barn on Route 283, approximately eight miles southeast of Harrisburg, Pennsylvania. 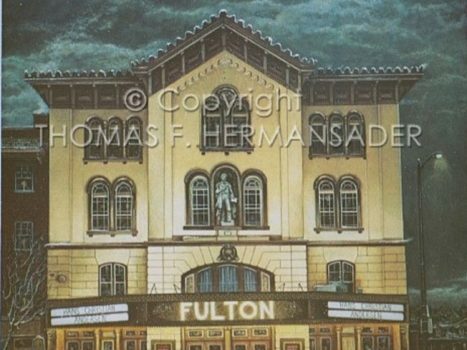 The Fulton Opera House is located on North Prince Street in Lancaster, Pennsylvania.